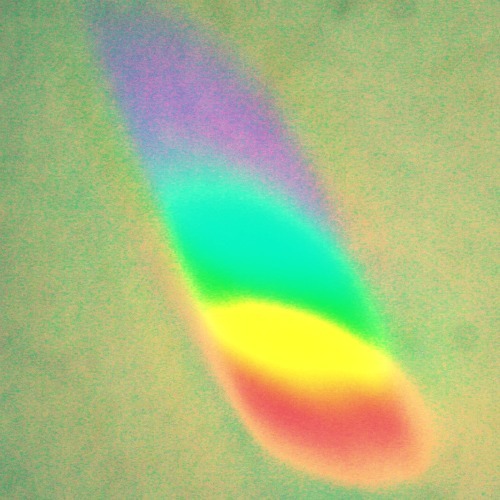 Beauty in a rainbow thrown on the wall by a prism, cross-processed. My youngest daughter (who loves rainbows) got a solar-powered rainbow maker for Christmas. When the sun shines, their room is filled with rotating rainbows. I caught one.